How much is a taxi in Auckland? For whatever reason, you want to take a taxi in Auckland. Maybe you need to get somewhere quickly and directly, maybe it’s 3am and you finished partying and need to get back to your hostel/flat, or maybe you are just too goddam lazy to walk. 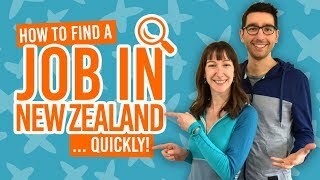 Here at BackpackerGuide.NZ, we don’t judge, we just inform. So here are the taxi prices in Auckland city. Because Auckland Airport and Auckland’s main attractions are the most common destinations for taxi travellers, we have stuck with these as destinations. Likewise, most backpackers stay in Auckland city centre so this guide also includes the centre as your start/destination point. Taxi tip: pay cash! Although most taxi companies accept credit or EFTPOS, that usually comes with an extra fee. Come on, we’d do anything to save an extra five bucks! The most common taxi trip in Auckland is going between the airport and the CBD. For this reason, many of the taxi services offer a flat rate for Auckland International Airport. To the city centre, these flat rate fares can be as little as NZ$33-$40. However, if you just hop in any old cab and are charged by-the-meter, fares are more likely to be around NZ$60-$70 and can even reach up to NZ$90 with some taxi companies! The traffic congestion can really add to the meter price, and the highway to the airport is one of the busiest roads in New Zealand. So if a taxi is your preferred mode of airport transfer, booking a taxi with a flat rate is your most affordable option. The quickest way to get to some of Auckland’s main attractions is by taking a taxi. Here are the top Auckland attractions you might want to get a taxi to from Auckland CBD. The lowest prices are taken from the budget taxi companies. How does this compare with other cities in New Zealand? Check out the cab prices in New Zealand’s biggest and busiest cities. Auckland city is very well connected with a number of transportation methods. Take the bus – there’s a huge bus network in Auckland. Train – the Auckland train network takes you to eastern, western and southern Auckland. From the airport, there are options of shuttles and buses as an airport transfer. Find out more in Cheapest Airport Transfer Options for Auckland Airport. Walk! A lot of the Auckland attractions are not too far from the city centre. There’s heaps of things best seen by walking. For more information, see Public Transport in Auckland.